The Triad of Change cont. Yesterday, we discussed the Triad of Change and how all change requires congruence in the 3 areas: Structure, Behavior and Perception. Today, we explore this further and discuss how to effectively use this model to create long-lasting change. In my Network Chiropractic Wellness center, A Place for Healing, we support people in their health and wellness goals by implementing the Triad of Change. Network Spinal Analysis (NSA) uses gentle touches on the spine to help develop new internal emerging strategies of breath and movement (behavior) to optimize the posture (structure) of the spine and nervous system and be more effective at adapting to stress (behavior) helping people to feel better and have a more satisfying and fulfilling experience of life (Perception). 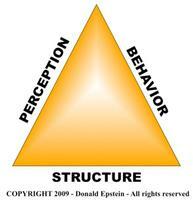 By changing structure and behavior, we change perception. We also utilize a strategy called Somatorespiratory Integration (SRI). SRI utilizes includes specific exercises which enhance self-awareness with respiration. 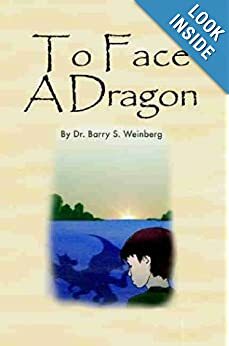 It promotes the ability to focus attention on gross and subtle body movements and rhythms, self-directed breathing, awareness of one’s tension, and verbal statements reflecting one’s internal state. These exercise dissipate energy stored as tension, enhance structural flexibility, increase the experience of safety within the body, and demonstrate characteristic shifts in states of consciousness. 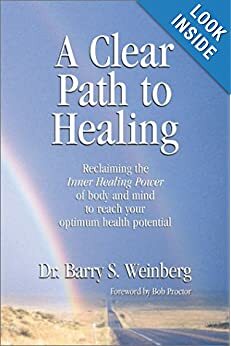 Categories: Health and Wellness, Network Spinal Analysis, Reorganizational Healing | Tags: behavior, change, Energy, Network Spinal Analysis, nsa, perception, Reorganizational Healing, Somatorespiratory Integration, SRI, structure, wellness | Permalink. Perhaps you had a low back pain and your posture was off and you wanted to change your structure, so you visited a chiropractor? Perhaps you wanted to change a behavior such as quitting smoking or exercising and eating healthier, so you joined a gym? Perhaps you were feeling anxious or depressed and you wanted to change your perception so you consulted a therapist? Often when making changes such as these, we often find ourselves frustrated that it is so difficult to make the change. Have you ever experienced this? I know I have. Why is this? The answer can be found in a model called The Triad of Change brilliantly created by the developer of Network Spinal Analysis, Dr. Donald Epstein. Structure = What we have – our body, our home, our business, our schedule, our relationships, our finances, etc. Perception = What we think and feel – what we are focused on, the meaning we give things, our thoughts and feelings, etc. Let’s say you are feeling anxious and depressed and you want to change your perception. In order for there to be a change in the perception, there will need to be a congruent change in your structure and behavior. Have you ever noticed that when feeling down, that your posture tends to be hunched over, head and neck forward and down? The change in structure may be to change your posture….to hold your head up and bring your shoulders back….perhaps working with a NSA practitioner to help you with that change. The change in behavior may be to take deep breaths and get yourself active in something you enjoy such as painting or exercise. In my Network Chiropractic practice, A Place for Healing, whether a person comes to me to change there spine (structure), start exercising or quit smoking (behavior) and/or feel better physically or emotionally (perception), we always look at the other 2 sides of the triad to make the change. So how do we effectively use the Triad of Change to make substantial, long-lasting change? We will explore this tomorrow in our next blog entry. Categories: Chiropractic, Network Spinal Analysis, Reorganizational Healing, Wellness | Tags: behavior, change, chiropractic, Network Spinal Analysis, nsa, perception, Reorganizational Healing, structure, Triad of Change | Permalink.